As a PhD student in a U.S. Religious Studies program (now entering the dissertation phase), I am struck by the ‘emic–etic tension’ in the field of Islamic Studies. While hashing out the particulars of the debate requires more space than is available here, it is a familiar tension for those in the field of Religious Studies, and one for which Omid Safi’s article and Aaron Hughes’s response offer an excellent frame. I am excited by what turns out to be a living, breathing example of the so-called “Insider-Outsider Problem in the Study of Religion.” Any of us who entered or completed a PhD program in this field in the past 20 years must surely be aware that the “Quest of the Historical Muhammad” is something of a minefield in early 21st-century Religious Studies. While I’ve no doubt that the vast majority of religion scholars would agree that scholarship concerning Muhammad (or any religious figure) should be rigorous, methodical, and devoid of apologetics/polemics, I doubt that we could find a majority of Islamicists agreeing that it is a consistent practice. I do not claim to be an expert with respect to current scholarship on the historical Muhammad (my own work is more closely tied to topics broadly—and unfortunately—categorized as “Islam and the West”). That said, it seems to me that in the current academic environment, one writes about the “historical Muhammad” at one’s own peril. I have seen the theoretically-sloppy, politically-charged moniker of “Islamophobe” tossed around with alarming ease by some in our field, who label as “racist” academics whose sole ‘mistake’ is to approach Muhammad as Albert Schweitzer did Jesus. This often ends with an effigy of the (usually) white, Western, male Islamicist “Orientalist” sacrificed at the postcolonial altar, with any serious academic engagement neatly deflected by appeals to “identity.” To be sure, these have been knee-jerk—dare I say “phobic”?—reactions, but they should certainly not come as unexpected for the non-Muslim scholar of Islam. From my vantage point as a student, Islamic Studies has become something of a mirror image of the field of Christian Studies. Here strong confessional stances carry a certain cachet. Whereas beginning a presentation at the AAR with “I am a Christian” might lead to a collective rolling of the eyes (it depends, of course, on “what you mean by ‘Christian’”), prefacing it with “I am a Muslim” elicits a sort of awed gaze. But if we are truly interested in good scholarship, shouldn’t both statements be greeted as little more than playing an identity game, having no real bearing on the quality of the work about to be presented? Surely none of us is so naïve as to think that one’s confessional stance and the quality of one’s scholarship are intrinsically tied? And yet, it would seem, at least for some, that one’s religious identity counts for as much, if not more than, the academic rigor of their work in the field of Islamic Studies. It feels as though there is a sort of privileging of the Muslim narrative about Islam, even as we deny the same privilege to the Christian narrative about Christianity. This brings me back to my original point about the “Insider/Outsider Problem.” I feel that we do ourselves a disservice by not continually interrogating the (ab)uses of scholars’ personal theological positions within a(ny) tradition as academic currency. 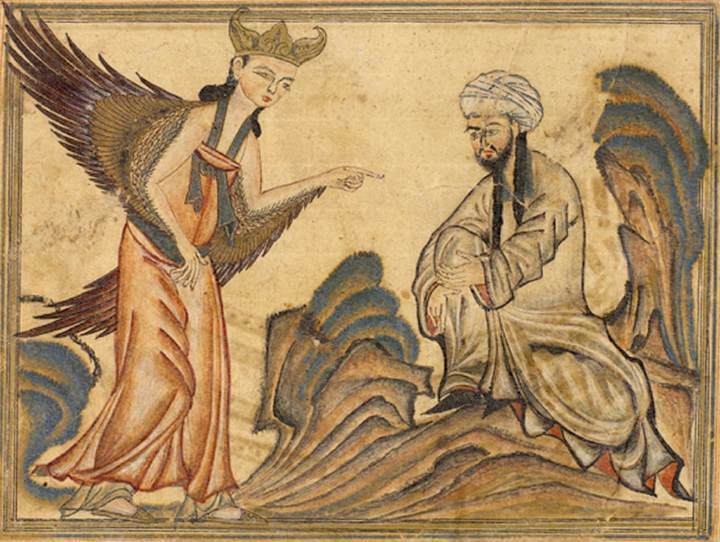 I believe we ought to approach the current debate over the “historical Muhammad” for the opportunity it is: a chance to study (again) the central tension within our field between religious narrative and academic inquiry. In an academic discipline that is assaulted from all sides by calls for increased methodological rigor, the consistent, rigorous application of theory to debates such as the one between Safi and Hughes might well provide the bedrock we so desperately need (or at least show us that we need to look elsewhere for it). If we truly believe we are important to the academy—especially in a time where the necessity of our presence is increasingly questioned—we must find a place for both emic and etic perspectives, but in a way that privileges sound argumentation rather than clever uses of identity politics. This entry was posted in Uncategorized and tagged AAR, Aaron Hughes, Albert Schweitzer, apologetics, Carl Stoneham, Christian, emic, etic, historical Muhammad, identity politics, Insider-Outsider Problem, Islamic studies, Islamicists, Islamophobe, Jesus, Muhammad, Muslim, non-Muslim, Omid Safi, polemics, postcolonial, racist, religious studies, Theology. Bookmark the permalink. I think it is unfair to demand that Omid demonstrate the burden of his claim about Hughes in such a short piece. Clearly he did not write an academic piece, trying to list sources and detail arguments here. Aaron Hughes is well known for his remarks about Islam, and Omid was offering his opinion, which others can judge. I think your critique is an important one, and I agree completely that the “rules” for a blog post differ from those for an academic article. That said, when one’s opinion involves use of the phrase “grossly polemic and simplistic,” and that opinion is provided in the context of “shar[ing] impressions about the state of Islamic studies in the North American academy,” polemical dismissals of polemics strike me as unhelpful at best. All that said, my response has in mind the larger field of Religious Studies, with Safi and Hughes being but an example of how this sort of emic-etic tension plays out. As a frequent attendee of AAR, who works in Islamic Studies and attends nearly every Islam-related panel, I must insist that this is not only a “careless statement”, but an entirely fallacious one. There are as many eye-rolls elicited in the audience when presentations begin this way as there are shrugs. Few people object to it, but it certainly doesn’t elicit awe or afford the speaker any excessive charismatic or scholarly authority. If anything, it does prime the listener to a certain type of engagement with the material to expect from the speaker–though even then it may be employed to flip those same expectations. However, at least from my observations, the magical affect of saying “I am a Muslim” that you ascribe to the audience deserves some careful reconsideration. It’s also a rare occurrence, for what its worth. That’s an interesting observation, Matt. My experience at AAR has been that avowedly-Christian speakers receive more hostile questioning than avowedly-Muslim speakers. I am not saying that all attendees are awed, but I am regularly struck by the deference shown to Muslim speakers on Islam as opposed to Christian speakers on Christianity. This is admittedly my own experience, and hence anecdotal, but discussions with others in both fields have settled on this same apparent discrepancy. With respect to speaking “carelessly,” I can assure you that this post was written with care. It’s almost comical how many times I revised this post before submitting it. As such, my words are deliberate. You may be entirely correct to describe my statement as “fallacious,” but with the possible exception of the word “awed” (I would now use “deferential”), “careless” is not an accurate descriptor. Thanks for the pushback. I’ll definitely keep it in mind when attending future AAR’s! Thanks for clarifying. The use of the word “awe” was the issue, and I think “deferential” may be more accurate in some cases. I also didn’t mean to get to nit-picky–it’s just that “awe” has a very real difference, especially in religious studies! One more clarification question: are you offering that the audience should be more confrontational on this? I’m really curious. Generally, I think it’s more important to critique the content of the presentation rather than the confessional background of the speaker (not that the two are always extricable, as you are aware). Even more so, I think that helping speakers (who have also put much care into their own work) by making constructive comments about their content would be a bit more healthy than the Christian/audience interactions you describe. But we may be talking apples to armchairs here. I haven’t had enough experiences with the Christian confessional presentations you describe to make a good comparison, so I’m just working off what you wrote. Thanks again for responding, and for the clarification. I’m glad my clarifications are well-received! You and I agree whole-heartedly that one should critique the content, not the confession. This is what I was after with my comment that “both statements [should] be greeted as little more than playing an identity game, having no real bearing on the quality of the work about to be presented.” Perhaps it’s overly idealistic, but I believe strongly that one’s confessional stance should be seen as little more than a distraction. “Yes, yes, you’re a Muslim/Christian/Jew/Atheist. What does that have to do with the quality of your work?” Granted, I’m not suggesting it can never be helpful (if one was presenting on hygiene practices during the Hajj, I might raise an eyebrow if the speaker wasn’t Muslim); only that we should be wary of according the speaker a certain cachet (or ridicule) that would not be extended to other confessional stances. As for the Christian side of things, there seems to be a certain hostility at AAR to the “wrong” type of Christian confessional stance (read “conservative”). I consider this to be rooted in the intimate relationship between Christianity and Religious Studies in the Western world (I see the latter as a reaction against the former), but that could just be me grasping at straws. If I can go out on one more limb, Edward Saïd’s notion of the Muslim as exotic seems to me to be firmly ensconced in some corners of AAR. I despair somewhat to find I am agreeing with Saïd, but perhaps I can take solace in the personal observation that it is the postcolonialists who seem to be more susceptible to this than “proper” Orientalists.